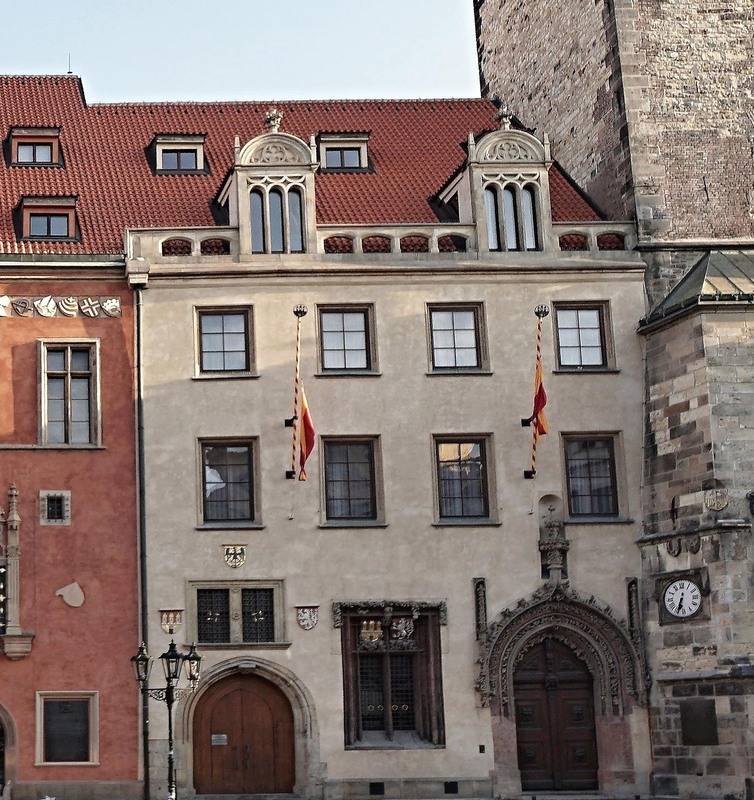 We will guide you through the individual halls which you can visit in the Old Town Hall. The Municipal Hall was once the central point of the entire town hall. All of the most important matters concerning the administration of Prague’s Old Town were discussed there. It was also used as a wedding hall in the past. Nowadays, it has a completely new interior. The originally renaissance room was fully destroyed in May 1945 and only two neo-gothic entrance portals have remained here. A modern tapestry with Prague’s coat of arms constitutes the dominant feature of the hall. 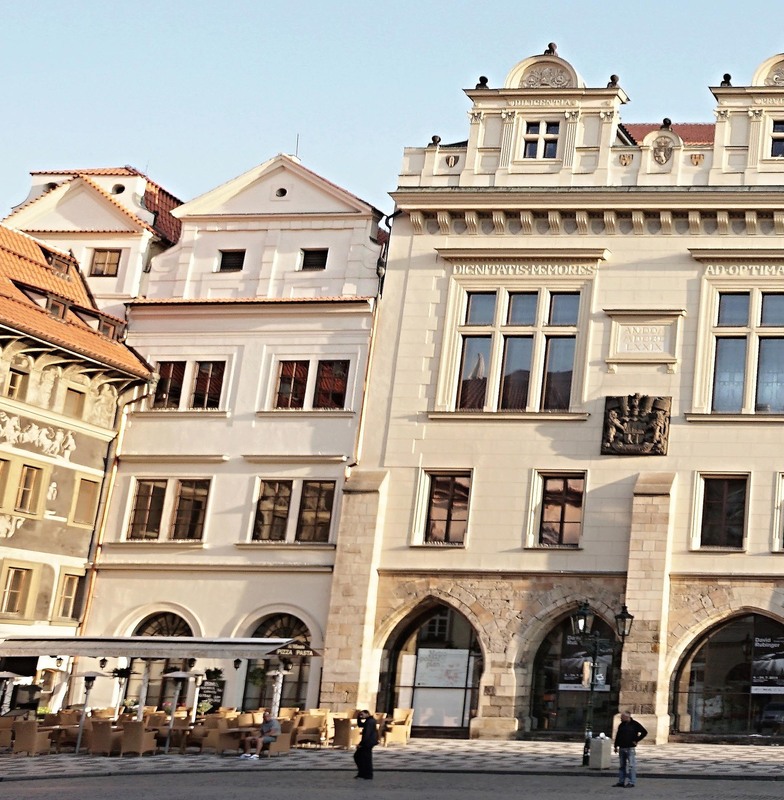 The walls are decorated with four portraits of Lord Mayors of Prague from the 17th and 18th centuries; they are a reminder of the valuable collection of 33 portraits of Lord Mayors which hung in the Old Town Hall up to the end of the Second World War. Their authors are unknown, but the quality of the oil painting points to them being first class artists. The most valuable historical interior in the Old Town Hall is that of the Old Council Hall. Thanks to its architecture and decorations, it ranks as one of the most graceful late gothic halls in Europe. The statue of Christ the Sufferer dating from the beginning of the 15th century takes pride of place in the hall. It is affixed to a base in the shape of an angel which bears the Latin text “Judge justly, sons of man”. It refers to the period when the council hall was also used as a court tribunal. The work of the municipal court is also still recalled by the depiction of the Roman goddess of justice, Iustitia, on the baroque tiled stove in the corner of the room. The stove is one of the largest which still exists in Bohemia. It was stoked from a rear room, so that the councillors were not interrupted during their meetings. The antechamber to the meeting hall is entered through a unique door dating from 1619. This is one of few renaissance inlaid doors which have been preserved in Prague. The upper section includes a depiction of Justice, while the lower area includes an allegory of Strength. The door was originally part of the Lesser Town Hall. 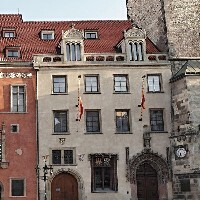 It was transferred to the Old Town Hall and installed there in 1854. On the external side, it is mounted in a portal of red marble which represents a unique expression of the Dutch renaissance in Prague. Two lunettes by Václav Brožík, a famous Czech painter from the 19th century, hang on the walls. They depict significant personalities from Czech history; King Charles IV establishing the university in Prague (1348) and John Amos Comenius, a thinker and the founder of modern pedagogy, at the town hall in Amsterdam (1657). The Brožík Assembly Hall stands out in relation to the other halls in the town hall; it occupies the height of two stories and the floorplan of an entire house. The room originated in 1879. 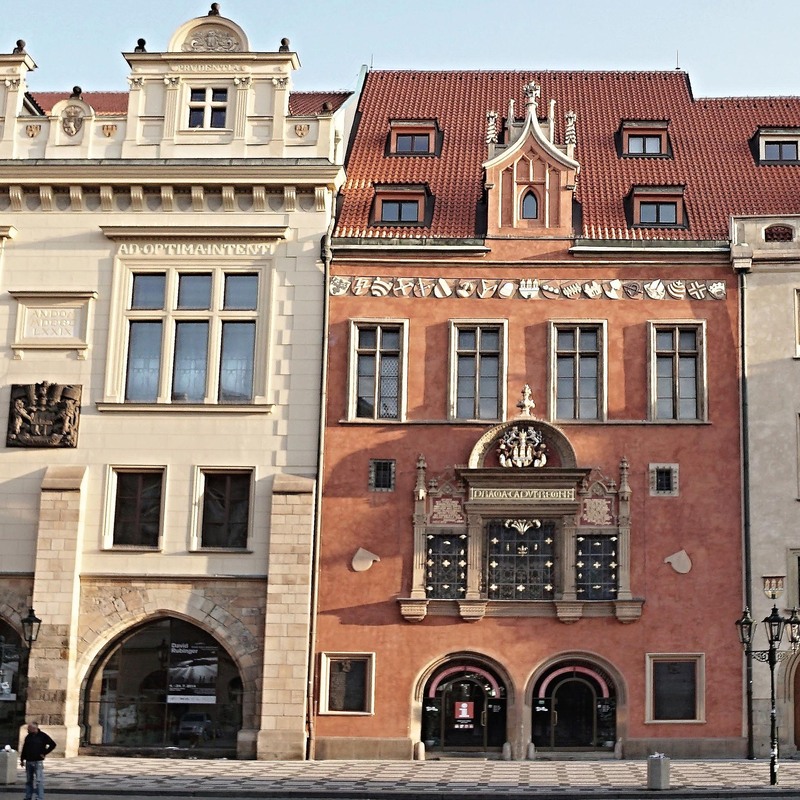 It was given its current appearance in the late art nouveau style by the architect Josef Chochol in 1910. 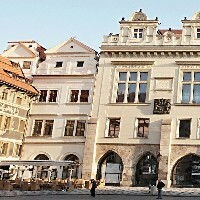 The Prague Council was based there until the end of the Second World War, but today the hall is used by the Lord Mayor for official events. The hall bears the name of the painter Václav Brožík, the author of the large sized canvasses. The painting of “Master John Huss before the Council of Constance” captures the final moments of the life of the medieval priest and preacher John Huss. He was branded a heretic and sentenced to be burnt at the stake by the Council of Constance due to his criticisms of church practices. John Huss was the rector of Prague University and he is also ascribed the authorship of some linguistic reforms which simplified Czech grammar; thanks to him, Czech became the first Slav language to start to use diacritic marks (inverted circumflexes and acute accents). The second canvass depicts the election of George of Poděbrady to the position of the King of Bohemia which actually took place at the Old Town Hall, in the north-east wing which no longer exists, in 1458. The George Hall, named after George of Poděbrady, adjoins the Assembly Hall. 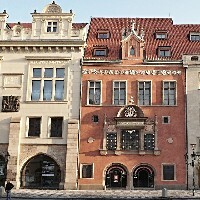 The man and his election to the position of the King of Bohemia at the Old Town Hall are recalled by a bust at the front of the room. It was sculpted in white Carrara marble in 1873 by the sculptor Tomáš Seidan. The walls bear fragmented frescos from the 15th century, while gothic battlements and the Madonna with child are apparent by the entrance door. The main part of the ceiling dating from the 16th century has been preserved.